WALK DAY | Tadlock Elementary Watch D.O.G.S. 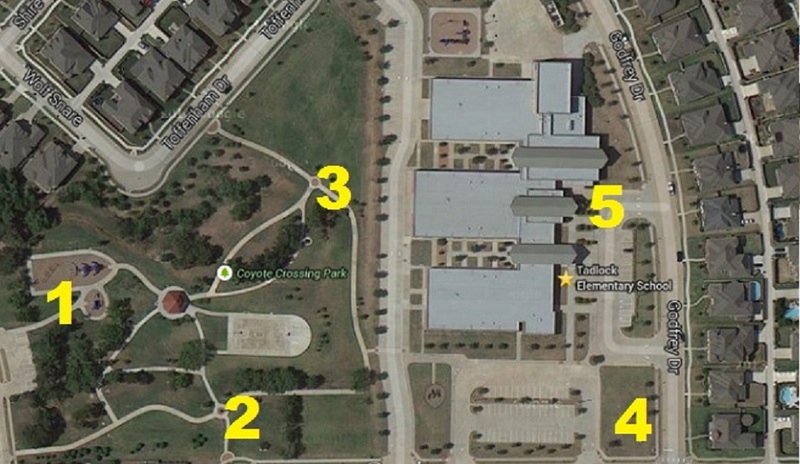 There are 5 stations for Watch D.O.G.S. (identified in the map above) for each “Walk to School” day. Throw your Watch D.O.G.S. shirt on, be at your station by 7:25am and keep an eye on our students as they walk to school. Click here to sign up for a “Walk to School” day station.